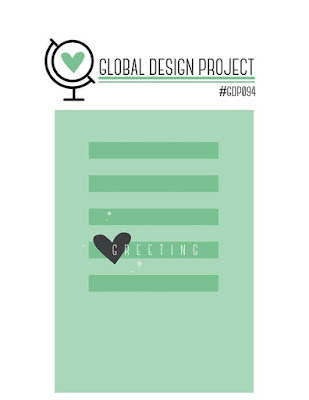 Today I'm playing along with the Global Design Project sketch challenge. Although I'm happy with the end result for this card, it's always a shame to have to make Sympathy cards. I've started with a Thick Whisper White base, layered with Wisteria Wonder & Shimmery White cardstock. I have used the Touches of Texture stamp set to create the lines in Wisteria Wonder & Pink Pirouette. The bottom one looks a little like Sweet Sugarplum, but I just didn't clean my stamp properly after the Wisteria Wonder image was stamped. I have then stamped the flower in Night of Navy & Gold Heat Embossed the bees & the center of the flower, fussy cut them & propped them up with Dimensionals. The Mini Gold Sequin Trim is wedged in between two Dimensionals & shaped like a bow. I have also stamped the sentiment in Night of Navy. 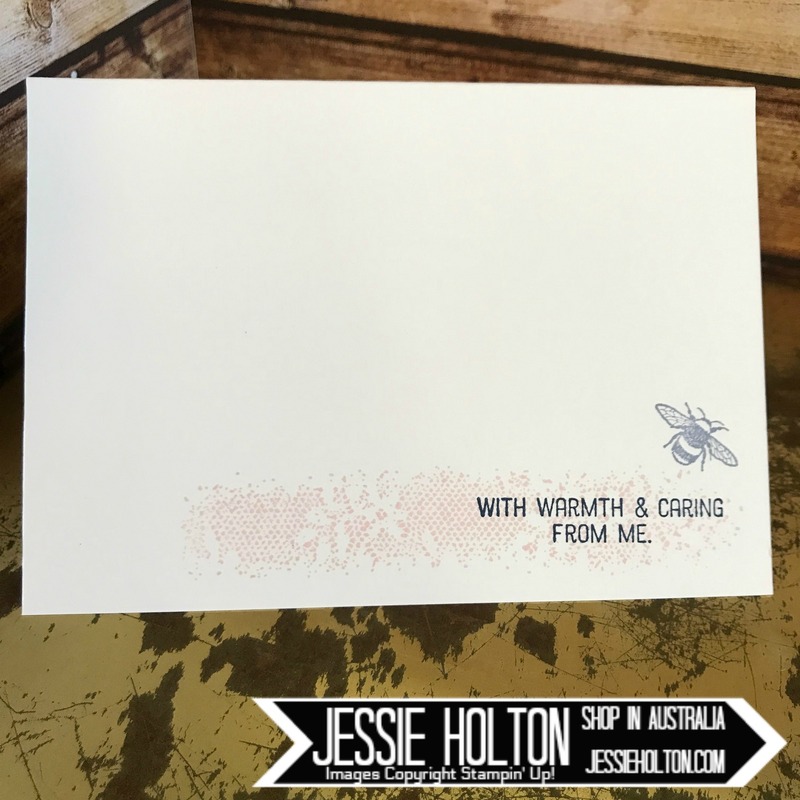 The sentiments I've used are from the Flourishing Phrases stamp set. Lastly, I've added a few of the loose Mini Sequins from the Trim. I have also stamped the inside to match. I hope you have enjoyed my card & that it brings much needed comfort to my friend. 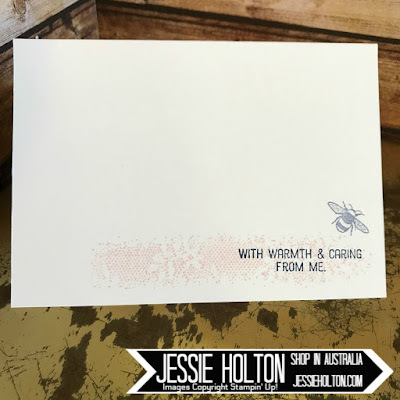 Remember to use my July Hostess Code ENEZTXTD at the bottom of your Shopping Cart & get a handmade card & a gift from me at the end of the month! The designs will have some die cuts but you can substitute with hand cut, stamped pieces if you don't have the dies. Please note, you must reside in Australia to order from me.